Part of this project was to decorate the girls bedrooms. 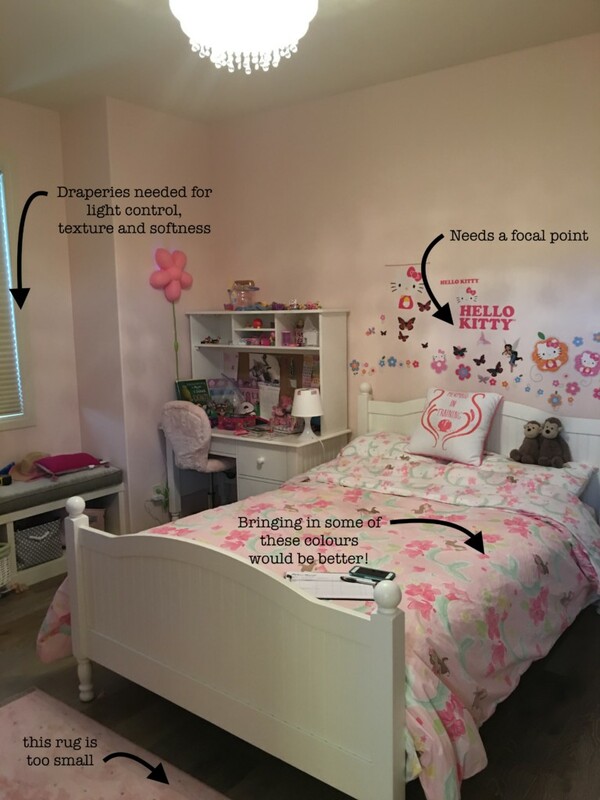 We were THRILLED about this as we’d always wanted to decorate kids room – and there wasn’t just one but THREE!!! She’d already purchased furnishings for two of them and the rooms were good sizes. They all had the same pink painted walls but different bedding that we could pull colours from. We happen to love pink so we knew we’d have fun with these rooms and could make them just a little more interesting and adorable for each of the girls. So sweet right? The task at hand was to make the girls rooms individual to each of them and for their personalities to be expressed. This sister liked purple more than pink so we had loads of fun introducing more purple for her! One of our favourite things about the girls bedrooms is that each girl got a private little reading spot (or hiding spot) that was created using draperies. And of course we love the fun cushions and bright area rugs! 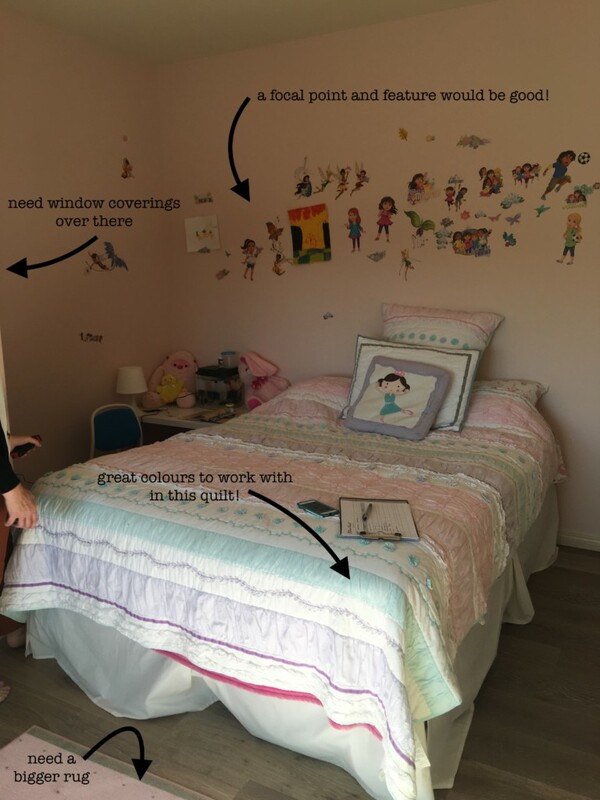 Kids rooms are so much fun to design but we wanted to make sure they weren’t too baby looking and the more expensive elements could grow with each girl. The wall decals by Urban Walls were such a great addition to their rooms – we’ll definitely be using them again in future projects! Unfortunately we couldn’t be there when the clients saw their house after we finished, but were beyond thrilled to hear her positive reaction the next day. And the girls were soooo excited about their bedrooms! It was a pleasure to do and it makes us giddy when our clients are happy with our work. If you haven’t already, go check out mom and dads bedroom… it’s to die for! !